The recent claim by Governor of Kaduna state, Nasir El-Rufai that PDP hired supporters from Niger Republic during the flag off of the Atiku/Obi Northwest Presidential campaign in Sokoto is nothing but blatant lie, evident of political frightening and an attempt to score cheap political goals. In a release signed by the special adviser to the Sokoto state Governor in on public enlightenment and mobilisation, Honorable Akibu Dalhatu, Governor Aminu Tambuwal said that “The outcry by El-rufa’i is a testimony to the fact that APC and its leadership were shocked by the gargantuan crowd the rally recorded in Sokoto which serve as the final burial of APC government in the Northwest and Nigeria in general because of perpetual failure, bad leadership, massive corruption, failure to end terrorism and other security challenges bedevilling our nation since the inception of Buhari’s administration in 2015”. He added that “El-Rufai is coldhearted. It was the same Northwest people that he and his party begged for support in 2015, but because of the failure of APC government, incessant hunger and poverty all over the region, that have made them decamp to PDP, He is now calling them foreigners. 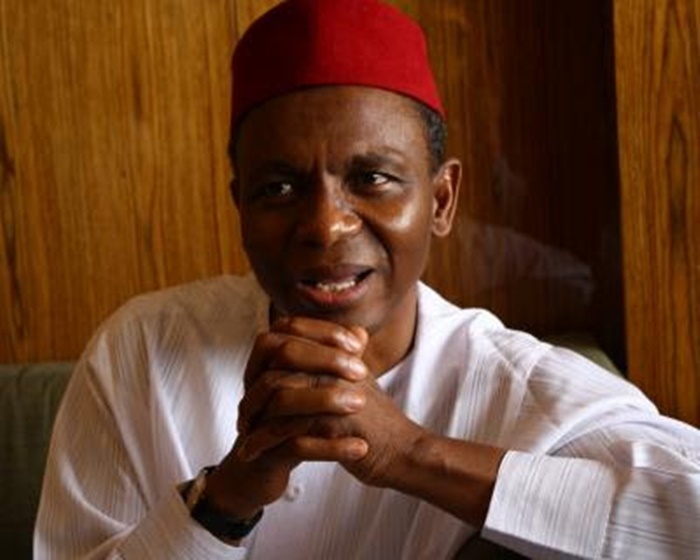 “What scared El-rufa’i and his co-travellers was the success recorded at the Sokoto PDP campaign rally. The Sokoto gathering no doubt instilled fair in the minds of El-rufa’i and his cohorts so much that in their wildest imagination their party, the APC will fight it impossible to record a replica of such mammoth crowd in any state of the Northwest including El-rufa’I’s own state of Kaduna. We, therefore, challenge El-rufa’i and APC to do same if at all they can in any of the states in Northwest. “With Governor Aminu Waziri Tambuwal at the helm of affairs as Governor of Sokoto state and campaign coordinator of PDP in Northwest, El-rufa’i will receive the shock of his life in Kaduna state and entire Northwest during the forthcoming general election. Governor Tambuwal, however, appreciated the political courage of the entire people of Northwest, their support and loyalty to PDP and sincerely thanked them and appeal to them to come out en masse during the forthcoming general election to lead PDP to victory.